FALLS CHURCH, Va. – Oct. 15, 2017 – Northrop Grumman Corporation (NYSE: NOC) will highlight its advanced global security capabilities at the Seoul International Aerospace and Defense Exhibition 2017 (Seoul ADEX 2017) in South Korea. Northrop Grumman’s Global Hawk and Fire Scout aircraft provide a powerful combination of autonomous systems with the capacity to advance South Korea’s Intelligence, Surveillance and Reconnaissance (ISR) capabilities while protecting regional interests and national security. 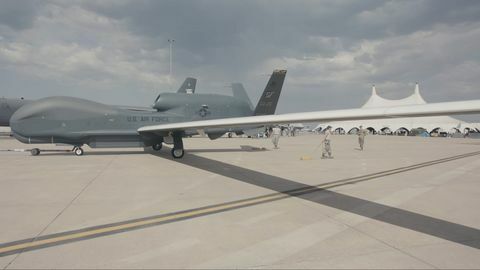 Northrop Grumman’s Global Hawk autonomous high altitude long endurance system supports intelligence, surveillance, reconnaissance and environmental research operations around the globe. The MQ-8C Fire Scout is the Navy’s next generation autonomous helicopter. Fire Scout has the ability to take-off and land on any aviation-capable ship and from prepared and unprepared landing zones. 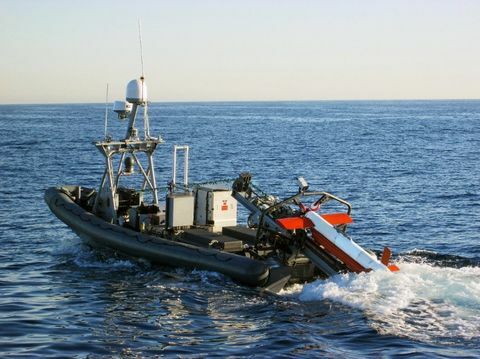 Fire Scout is actively deployed with the United States Navy providing enhanced maritime surveillance and persistent targeting capabilities. The company provides superior C4ISR capability, battlefield awareness and situational understanding through manned and unmanned platforms integrated by new, open architecture C4 systems, including Integrated Battle Management Systems (IBMS) and Remote Unmanned Ground Vehicles like Andros FX. IBMS are scalable from strategic to tactical, while supporting communications with joint and coalition forces. The Andros FX provides unmatched capabilities to defeat many threats, including vehicle-borne improvised explosive devices. Northrop Grumman’s logistics sustainment and modernization solutions improve lifecycle affordability and have the potential to increase mission readiness for the Republic of Korea. Options include: UH-60 Black Hawk rotary wing avionics upgrades / Improved Multiple Ejector Rack and C-130 Infrared Countermeasure (IRCM) upgrades. Northrop Grumman is the premiere digital cockpit supplier and integrator for UH-60V upgrade programs, which extend life and mission capabilities. The IRCM system equips C-130 aircraft with the ability to detect and defeat heat-seeking missiles, including surface-to-air missiles. The company provides airborne gateways for enhanced communications and greater situational awareness, with products like the Freedom 550TM software-defined radio and APG-81 Active Electronically Scanned Array (AESA) radar. The Freedom 550 bridges the gap between multiple platforms using different data links, allowing fifth-generation aircraft to share tactical data securely with each other and with fourth-generation aircraft in the fleet. The APG-81 AESA radar enables pilots to effectively engage air and ground targets at long range, while also providing outstanding situational awareness for enhanced survivability and combat effectiveness.